New research from the University of Southampton has identified a coral-eating flatworm as a potential threat for coral reefs. It is barely possible to see the parasitic worm Amakusaplana acroporae when it sits on its favourite hosts, the staghorn coral Acropora, thanks to its excellent camouflage. However, the researchers found that the small flatworm could cause significant damage to coral reefs. 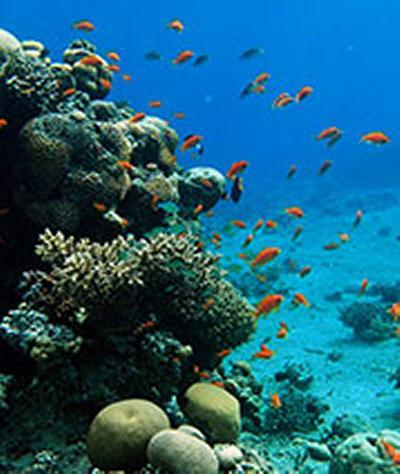 The scientists from the University of Southampton, who are based at the Coral Reef Laboratory in the National Oceanography Centre, Southampton, published the results of their research in the latest issue of the journal Coral Reefs, from where it can be freely downloaded. The flatworm has been scientifically described very recently and has been found in the wild only in one location on the Great Barrier Reef. In contrast, it is well known to aquarium hobbyists who keep staghorn corals and fear infestations of the parasite, since it can wipe out coral cultures within a short period of time. A video about the coral reef lab facility can be viewed here.